Someone brought a box of Gibson’s doughnuts into the office so of course I went straight for the bacon maple flavor, lol! This was pretty good! I liked the light fluffy donut although I thought that there was too much maple glaze for my taste. 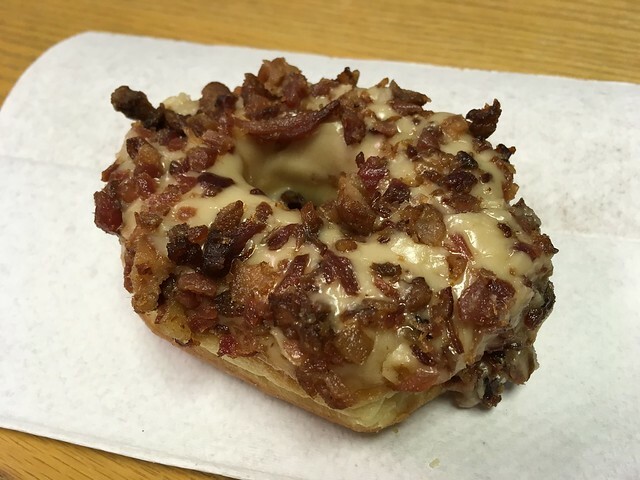 This entry was posted in Gibson's Donuts and tagged bacon, dessert, donut, doughnut, food, maple by vicentesf. Bookmark the permalink. Oh, I’d love to try that one!